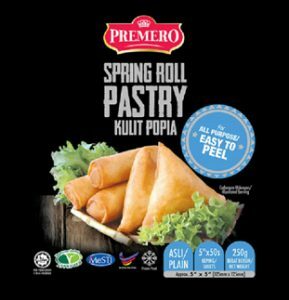 Introducing our improved recipe of spring roll pastry, PREMERO, which was launched in 2016. 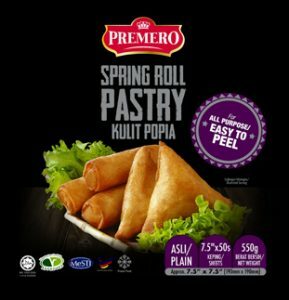 PREMERO is catered for consumer who is looking for easy peeling process, special customization of ingredients and pre-cut requirement. 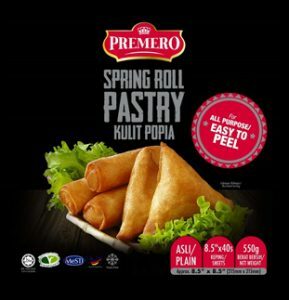 This process line is certified ISO 22000 : 2005, the prestigious recognition in Food Safety Management Systems.